12. 02. 2017 13:44 17 (10 - Latvala Jari-Matti / Anttila Miikka): It was a good stage again. I really enjoyed it. The best stage on the rally. A really nice ice layer with nice grip. Now we just need to go and stay cool on the last stage and try and enjoy it. 12. 02. 2017 13:35 16 (10 - Latvala Jari-Matti / Anttila Miikka): I am amazed. 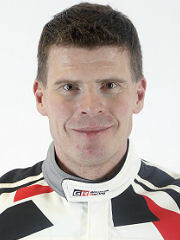 I have a very good feeling, the car felt amazing, me and Miikka are relaxed - it all came together. Last night I had a good chat with Tommi Makinen, he told me to go out there and focus on the driving, to forget about the set up, just go and drive. 11. 02. 2017 15:48 14 (10 - Latvala Jari-Matti / Anttila Miikka): It seems we lost time here. The tyres were maybe too worn I couldn't get the feeling. Also Kris Meeke was off the road and I had to slow down. 11. 02. 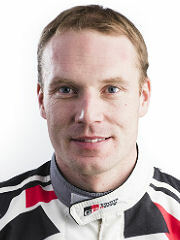 2017 14:48 13 (10 - Latvala Jari-Matti / Anttila Miikka): I'm happy about that. A good stage, but the downhill section was very difficult on the loose now - I thought I had a puncture. 11. 02. 2017 10:48 11 (10 - Latvala Jari-Matti / Anttila Miikka): A really nice run, I couldn't do better but I made a mistake taking two spares this morning. I'm carrying too much weight at the back and that slows me in the long corners. 11. 02. 2017 10:21 9 (10 - Latvala Jari-Matti / Anttila Miikka): A lot of time on the rev limiter but a bit too careful. I didn't have the attack mode. 10. 02. 2017 17:30 8 (10 - Latvala Jari-Matti / Anttila Miikka): Very slippery - no snow banks and an ice layer. I tried to be clean but the tyres were worn and I couldn't be neat and precise - I had to go sideways instead. 10. 02. 2017 16:11 7 (10 - Latvala Jari-Matti / Anttila Miikka): Not a good stage for me. I tried too hard. The condition were difficult and the line was very narrow. I made mistakes and ran wide in places. I will lose a lot of time here. 10. 02. 2017 14:45 6 (10 - Latvala Jari-Matti / Anttila Miikka): You have ruts but its very difficult to keep the rear in them. You have to be very, very precise. I feel quite good with the car. I think the drivers behind will benefit from a wider line - we'll see. 10. 02. 2017 13:35 5 (10 - Latvala Jari-Matti / Anttila Miikka): Very tricky in the lines, the snow since the earlier pass has made it very slippery. 10. 02. 2017 10:40 4 (10 - Latvala Jari-Matti / Anttila Miikka): A very nice stage, perfect, a nice feeling. I couldn't get such a feeling here last year because we had a broken driveshaft. The car feels good now - we have stiffened the front suspension. 10. 02. 2017 09:24 3 (10 - Latvala Jari-Matti / Anttila Miikka): Very fast sections in there - 200 kph for some time. Good conditions though, a proper winter rally stage. 10. 02. 2017 08:14 2 (10 - Latvala Jari-Matti / Anttila Miikka): The car is very good to drive, the balance is good, but on the long long straight over the jumps I lost confidence, like I did at shakedown. I need to sort it out. 09. 02. 2017 20:59 1 (10 - Latvala Jari-Matti / Anttila Miikka): Everything is more than great - now I just need to hold the horses. I just try to get a good rhythm tomorrow. That's the most important thing.